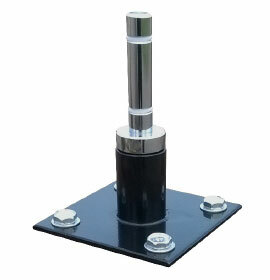 A bearing spindle for mounting on to brick parapet walls and concrete forecourts surfaces. 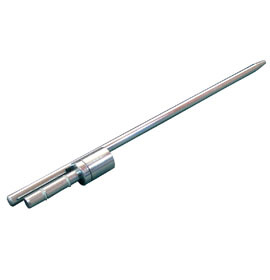 Description All your Flying Banner Surface Mount Spindle and Bracket will be sent as individual units by parcel delivery. 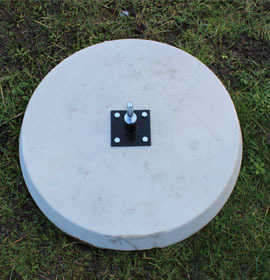 Your Flying Banner Surface Mount Spindle and Bracket will be sent in two separate deliveries – one by pallet, one by parcel. 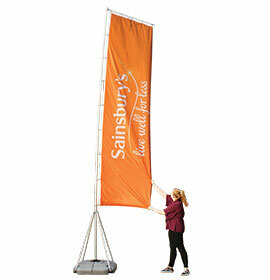 Enables high visibility banner positioning at the front of the forecourt. 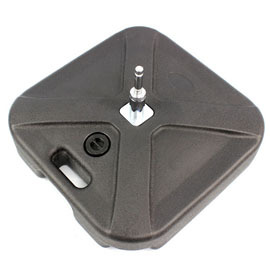 Black powder coated gloss finish mount. 360 degree rotating spindle mechanism with twin ball race bearings allow the banner to move with the wind, helping longevity of the printed banner. 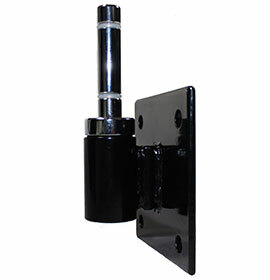 Please ensure that your designated wall for use is suitable and the fixings you select are appropriate for the bracket to ensure it is held safely in place.